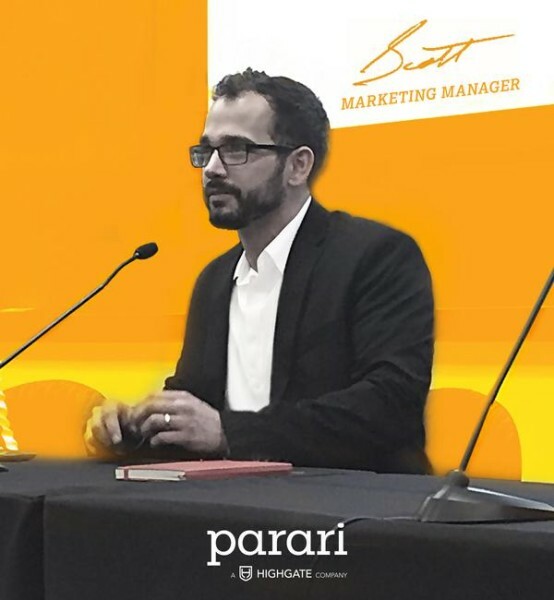 Virginia Beach, Virginia – Parari’s marketing manager, Scott McJunkin, was a panelist speaker at Regent University’s School of Business and Leadership (SBL) Connect event held in Robertson Hall this past Wednesday. McJunkin touched on the qualities innovative companies look for in new-hires and how business schools can best prepare their students. He emphasized the importance of question-framing and how students need to develop this essential skill, regardless of field, so they can be lead to creative solutions. © 2016 Highgate Co. All rights Reserved. Website designed by parari.